Development opportunity at the Hard Corner of 23 mile and North Avenue. 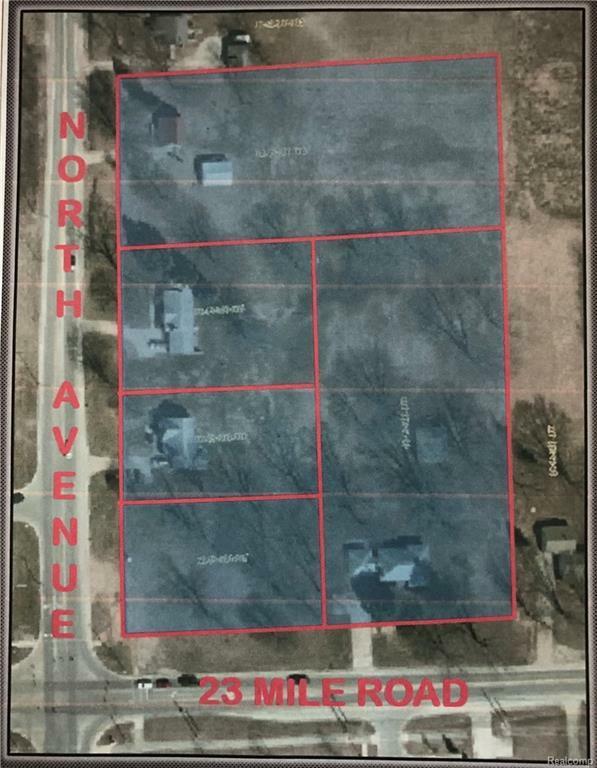 The sale consists of 5 lots with zoning of C1 and R1 that total 7 acres. 611 feet of road frontage on North Avenue. 436 feet of frontage on 23 mile road. Listing provided courtesy of Edge Realty, Llc.